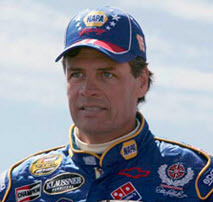 NASCAR driver Michael Waltrip, who plans to compete in this weekend’s Monticelloman Triathlon in Virginia, says endurance sports motivate him to stay fit. Michael Waltrip is enjoying his ownership role with his NASCAR Sprint Cup organization this year, but he’s keeping busy with some outside interests, too. Although he’s running only a limited NASCAR schedule, he’s getting in plenty of hours of competition. Next up on his schedule is the Monticelloman Olympic Triathlon in Lake Monticello, Va., on Sunday — which comes just hours after his two NASCAR Sprint Cup teams race Saturday night at Richmond International Raceway. Waltrip has competed in several marathons, including the 2000 Boston Marathon. The triathlon Sunday includes a 0.9-mile swim course, a 24-mile bike course and 6.2-mile running course around Lake Monticello. The competition comes a week after Waltrip tested a Ferrari in France for the 79th running of June’s 24 Hours of Le Mans — the world’s most famous endurance race. He and Michael Waltrip Racing co-owner Rob Kauffman will join Rui Aguas as the three drivers in the No. 78 AF Corse Ferrari in the GTE class.